In this episode of ‘The Sound of Economics’, I talk with Lars Hoelgaard, former deputy director general at DG AGRI, regarding the possibilities for reforming the EU’s Common Agricultural Policy and the consequences for the new Multiannual Financial Framework. 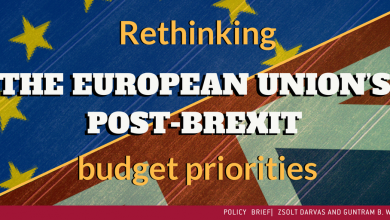 Ongoing negotiations over the next multiannual financial framework represent an opportunity for the EU to support its new priorities, such as increased investment in border control and defence. 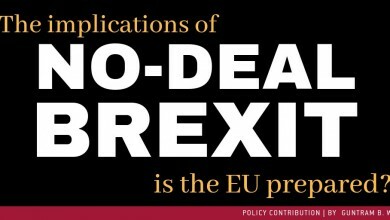 However, new investment necessitates either an expansion in the size of the budget or cuts to other sectors – each a difficult sell to different Member States. Brexit compounds the problem of finding funds for the seven-year framework, which will run from 2021-27. The Common Agricultural Policy (CAP) accounts for a sizeable portion of the current budget, and Bruegel director Guntram Wolff here elaborates on the possibility of freeing up more space in the budget by freezing funding for CAP – either in real or nominal terms – based on a research paper he has co-authored with Bruegel senior fellow Zsolt Darvas. Joining the conversation in this episode of ‘The Sound of Economics’ is Lars Hoelgaard, former deputy director general at the Directorate-General for Agriculture and Rural Development, who explores specific options for reforming the CAP. Previous Post Europe needs a strong ItalyNext Post What Does Europe Care About? Watch Where It Spends.